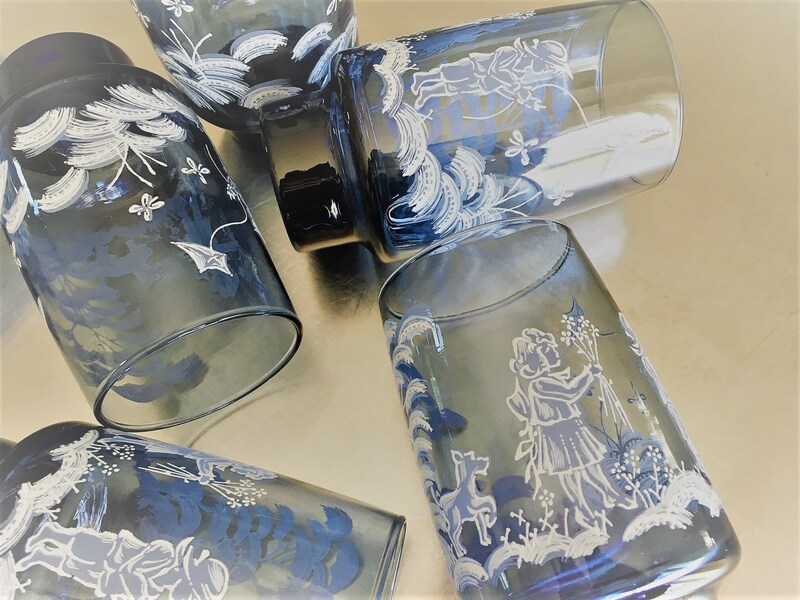 Featured is an absolutely wonderful set of Libbey blue glasses with Mary Gregory design. 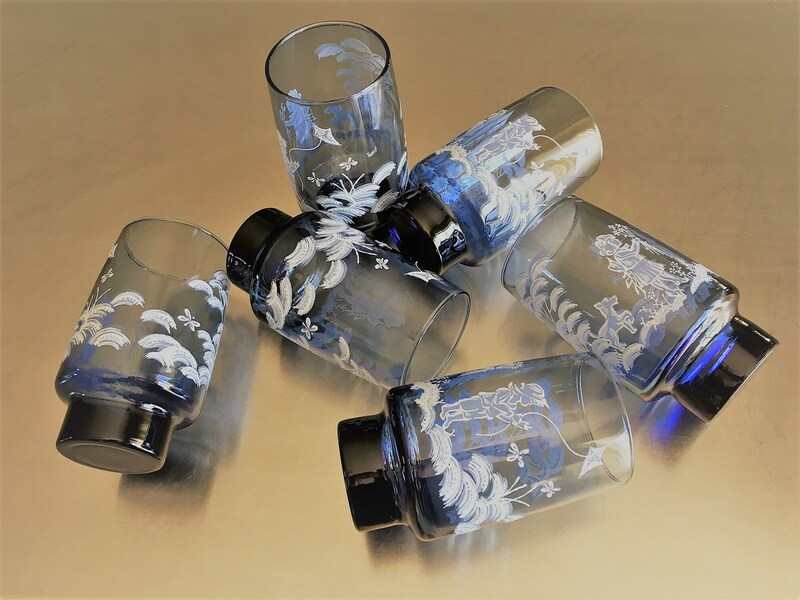 Mary Gregory (1856–1908) was an American artist known for her decoration of glass products at the Boston and Sandwich Glass Company in Cape Cod, Massachusetts. 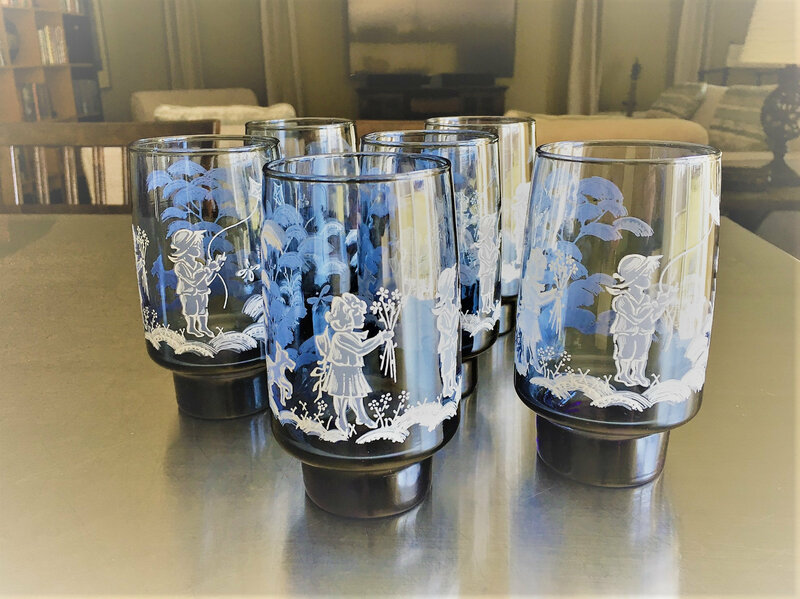 These glasses are just wonderful with their hand applied white paint designs of a girl bringing a boy flowers who is flying a kite. 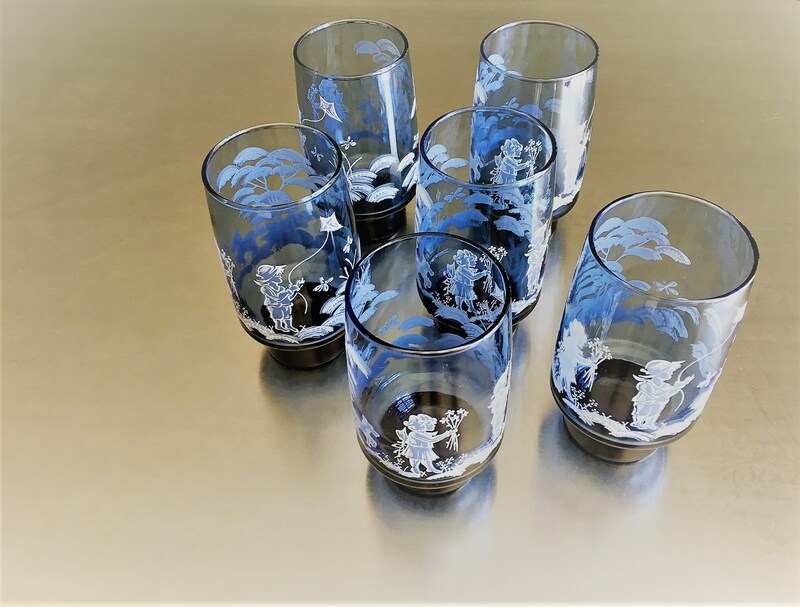 The 6 glasses look to have never been used. 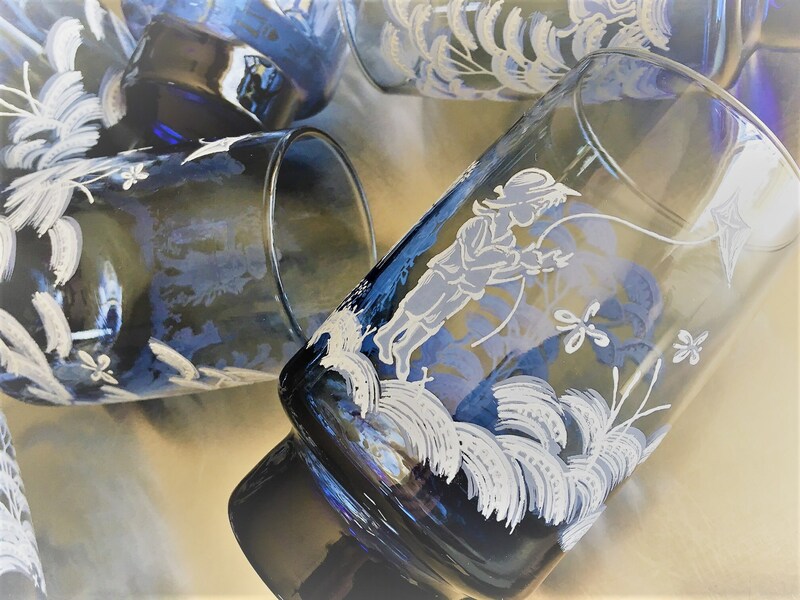 Each glass measures 5 1/2 inches tall, are 2 3/4 inches in diameter at the rim, and have a great, bottom-heavy feel. Excellent condition with no chips or cracks.